Every year, the Professional Regulation Commission honors the outstanding professional from each profession during the PRC Week which is held every June. We would like to invite ICP members to nominate individuals for the honor of Outstanding Chemist of 2018. The Outstanding Chemist can come from government, industry or academe. The evidence for outstanding performance will depend on the sector where the nominee comes from. The nominees have to be evaluated and endorsed by ICP. The deadline for submission to ICP is on March 1 (Thursday). You may download the criteria by clicking on this link. For relevant forms and further details, please contact the ICP via email (integratedchemists@gmail.com). Let us recognize the Outstanding Chemists among us! 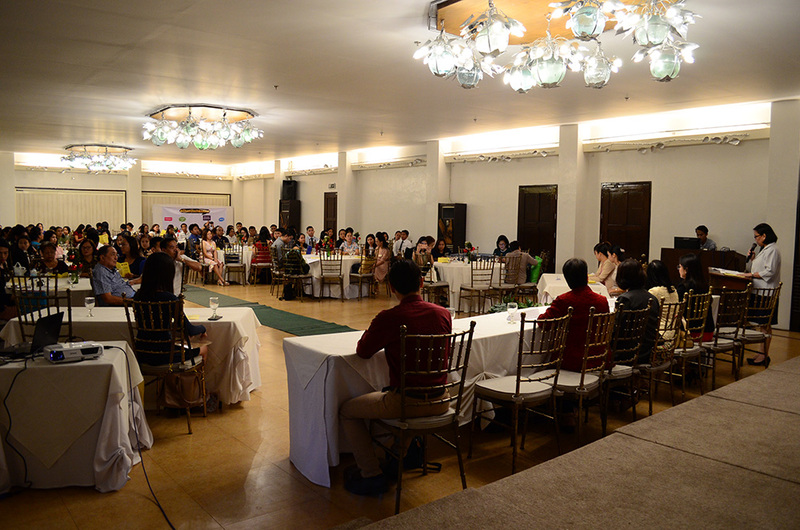 The Bacolod chapter of the Integrated Chemists of the Philippines, under its chapter president Ms. Roselyn Usero, has successfully organized their inaugural oath-taking ceremonies for this year’s new chemists and chemical technicians in the morning of 11 December 2017 at the Nature’s Village Resort in Talisay City, Negros Occidental. The event was attended by sixty board-passers, their parents and guests, and was graced by Ms. Edna Mijares (ICP VP-Externals) and Hon. Adoracion Resurreccion and Hon. Ma. Teresa Cayton (PRC Board of Chemistry). An inspirational message was also given by Diamond Jeff Paug, topnotcher in the inaugural chemical technician licensure examination, in behalf of the board-passers who have attended. For the afternoon session, the vibrant regional chapter organized two seminars for its esteemed members. The first seminar was on Good Laboratory Practice in Chemical Laboratories given by Mr. Nick Tan (St. Scholastica’s College Manila; ICP-National), while the second one was on Elemental Analysis Using Energy Dispersive XRF and Atomic Absorption Spectroscopy given by Mr. Sean Dalawampu (Shimadzu Philippines). 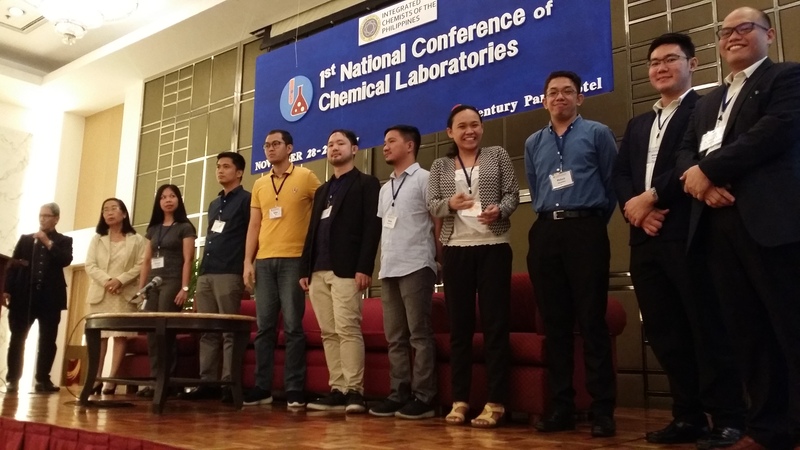 The Integrated Chemists of the Philippines (ICP) warmly welcomes the addition of two new regional chapters: Central Luzon and Calabarzon. 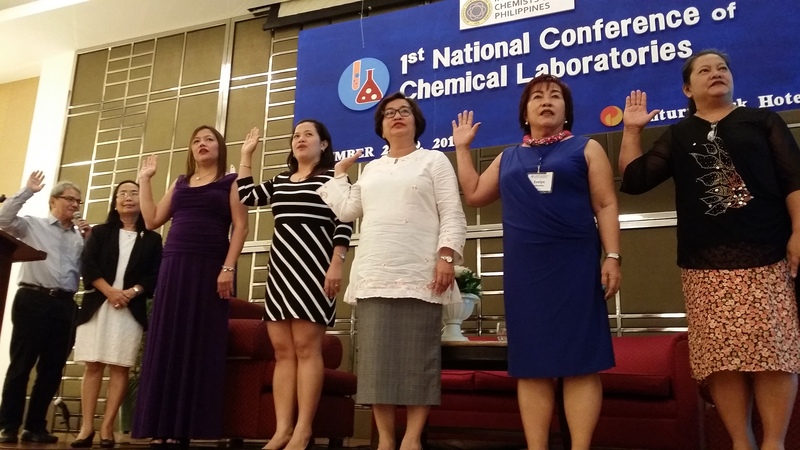 They have been formally announced during the sidelines of the 1st National Conference on Chemical Laboratories on 28-29 November 2017 at the Century Park Hotel in Manila, where their inaugural set of officers were also inducted. The officers of the Central Luzon chapter are: Maria Carmela Capule, president; Angel Timario, vice-president; Diana Cecilia Zambrano-Estrella, secretary; Mayflor Candelaria, treasurer; Roel dela Vega, auditor; Evelyn Labastilla, public information officer; and Danila Paragas, Rohit Tilwani, and Danilo Espiritu, Jr., board members. Meanwhile, the officers of the Calabarzon chapter are: Arvin Paul Tuaño, president; Alvin Basco, vice-president; Melvin Sucaldito, secretary; Loida Pacaro, treasurer; Benjo Salvatierra, auditor; Guiller Sarmenta, public information officer; and Julius Leonard Vivar, Andy Aquino, and Eleanor de Jesus, board members. The ICP now has nine regional chapters and two clusters. 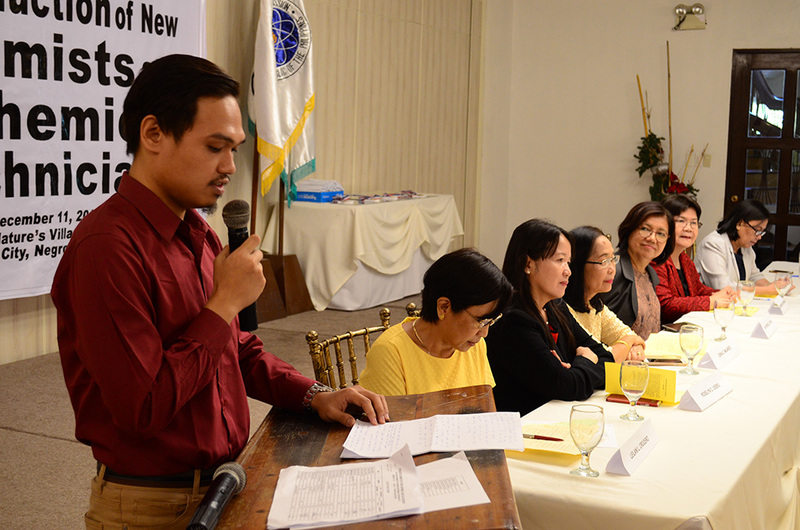 Regional chapters help the national chapter and the PRC Board of Chemistry (BOC) in further disseminating information regarding the practice of chemistry profession in the country to their constituents. They also offer logistical assistance whenever the BOC members inspect chemical laboratories in their area of jurisdiction. For successful passers, you may download the official invitation from the PRC at this link. Additional instructions are also found in the said file. Newly-licensed chemists and chemical technicians may now apply to become regular and associate members, respectively, of the Integrated Chemists of the Philippines. Please click on this link to learn more. The Oath-taking Ceremony for New Chemists and Chemical Technicians will be held on November 10 (Friday), at the Manila Hotel. Pre-registration for the event is required. Please visit www.icp.org.ph/oathtaking for more information (including registration fees and procedure). The ICP wishes to announce the results of the Referendum on the new ICP Constitution and Bylaws which was held from September 4 to 22, 2017, and further extended to October 6, 2017.